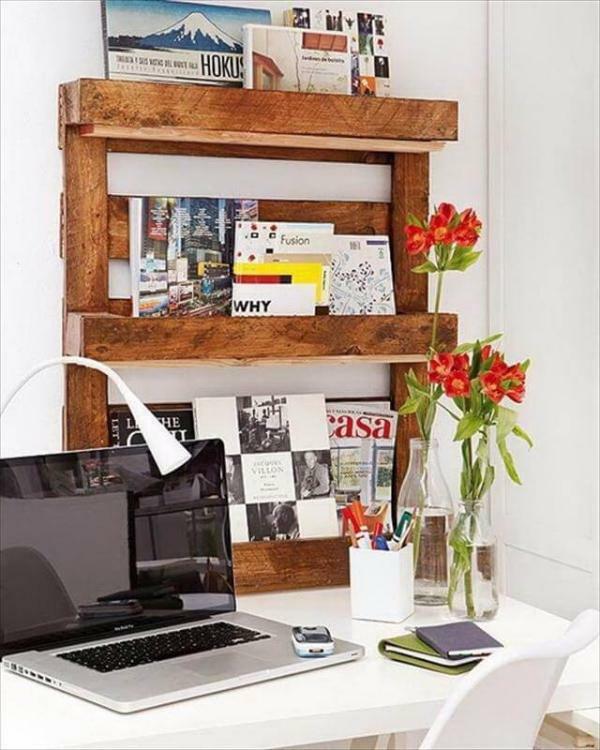 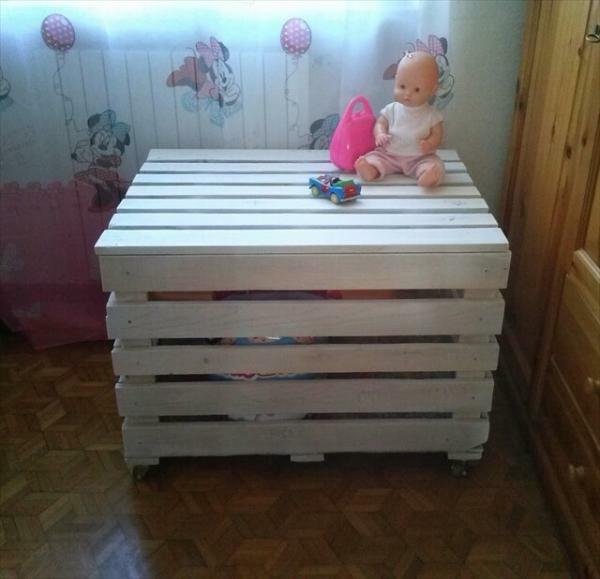 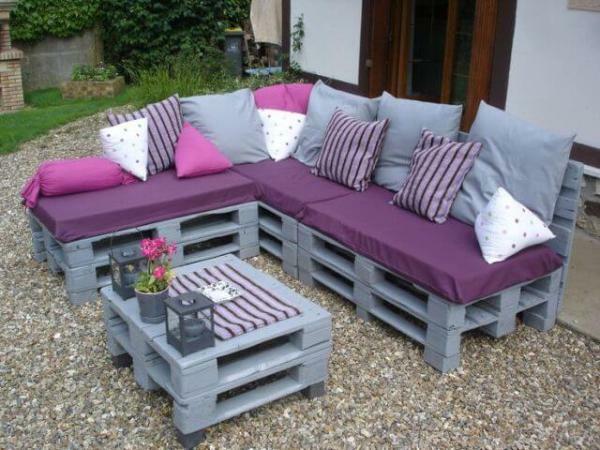 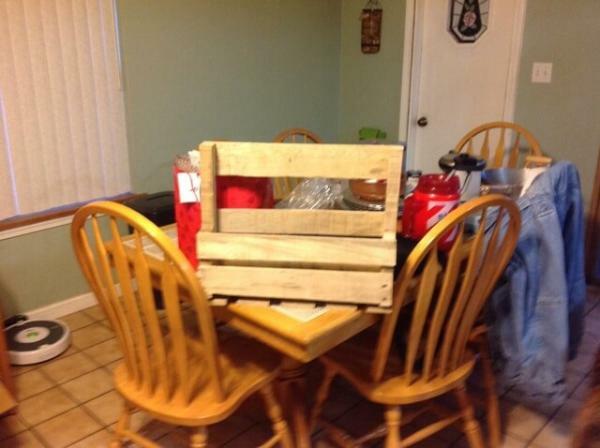 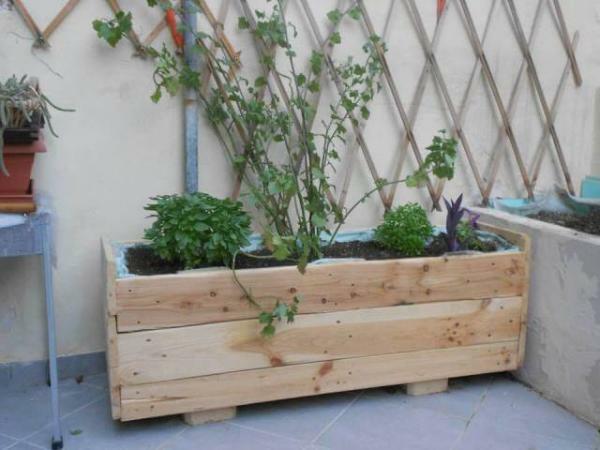 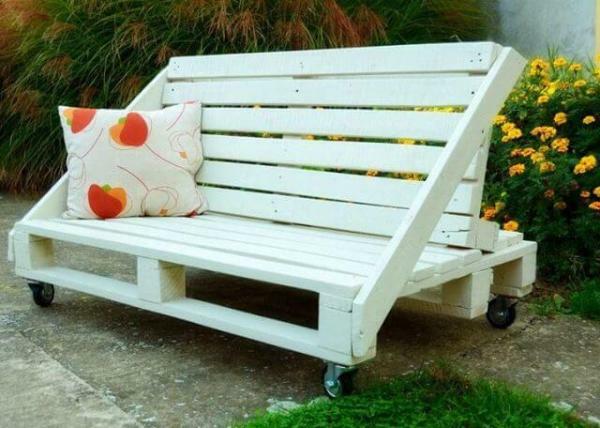 Let the pallets keep on coming to your homes and you only need to remold them into some functional shapes! 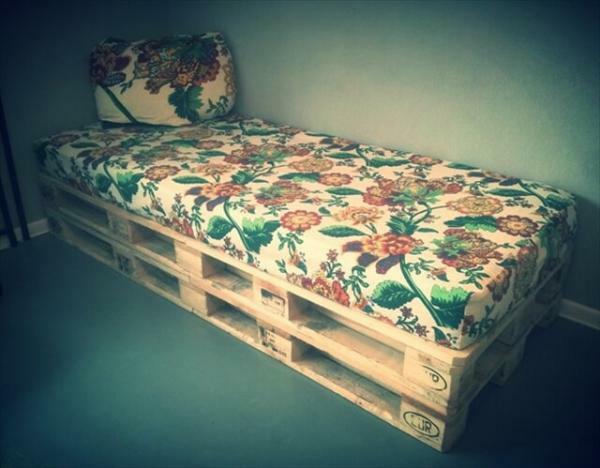 You should not to be professional in carpentry or to be a extra brilliant furniture designer to use the pallets. 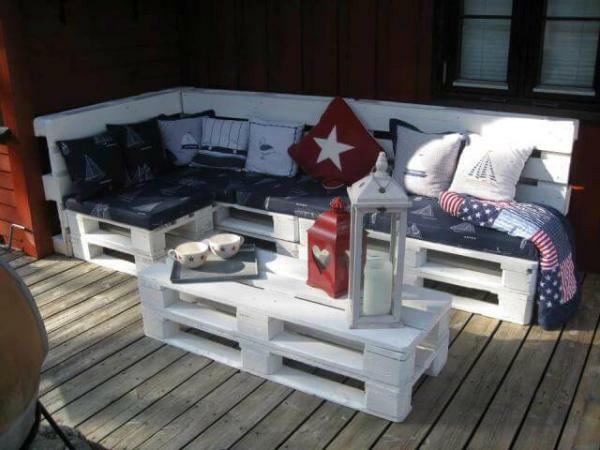 You can just only need a sharp vision and a creative mind set to create pretty simple to extraordinary wooden projects with pallets. 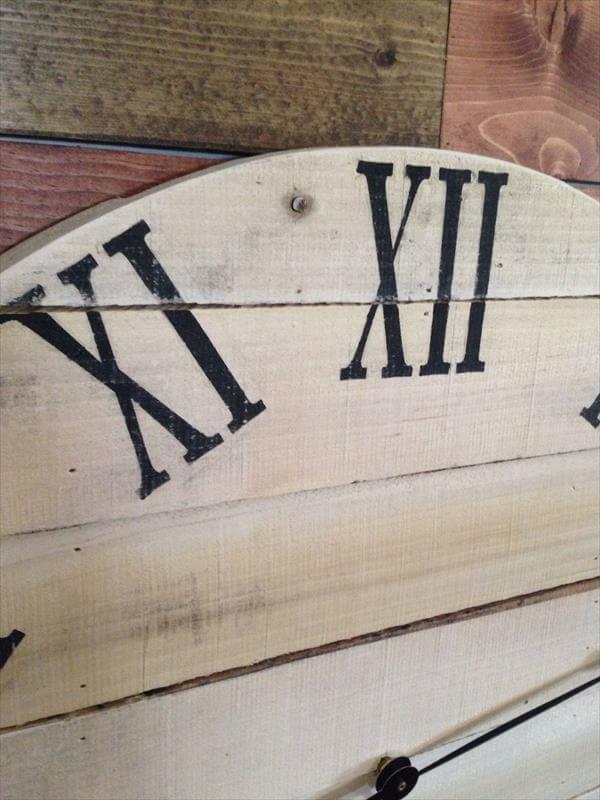 This project of DIY wood pallet wall clock is pretty simple too to do at home as you only need some leftover or removed pallet slats, some roman numeral and a quartz clock system to build this rustic yet eyeful design of wooden wall clock that will also exists as a pieces of pallet decorative wall art for blank wall areas! 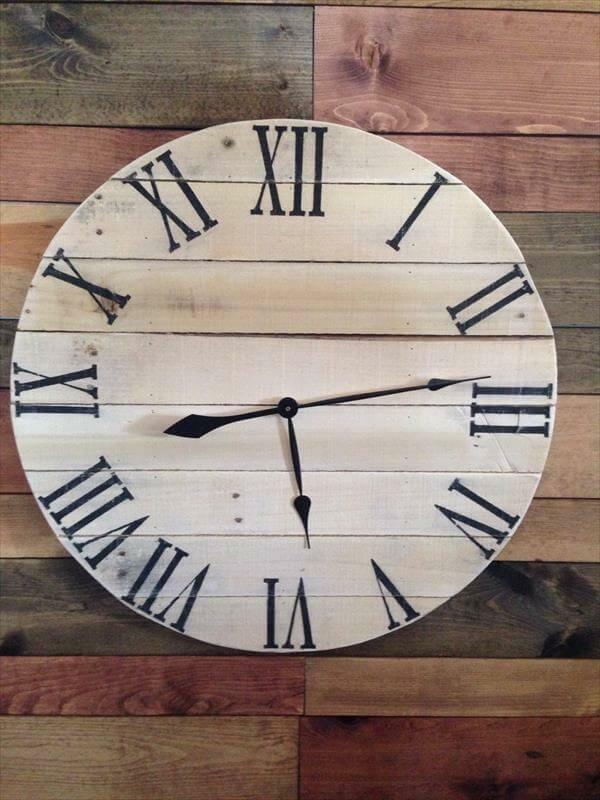 Shape of this clock is a perfect circle to be more noticeable but you can also build the rectangular or triangular ones to suit your personal requirements! 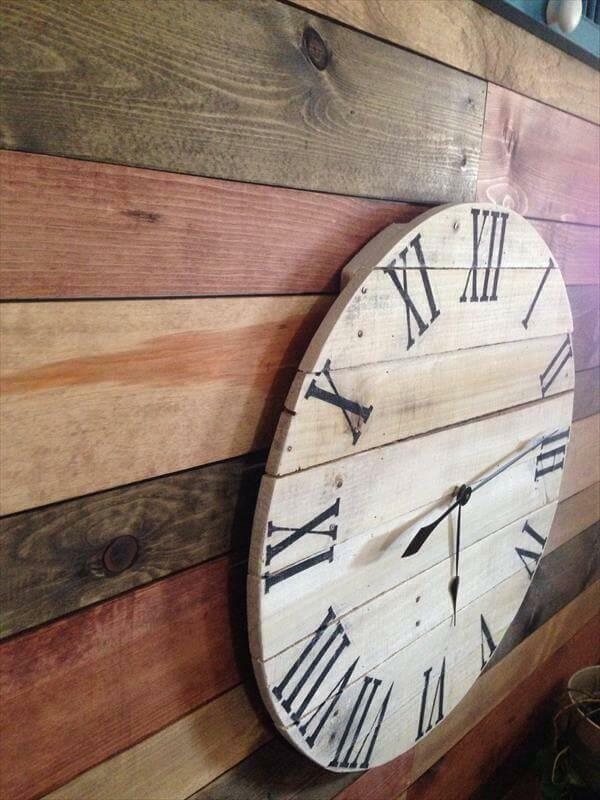 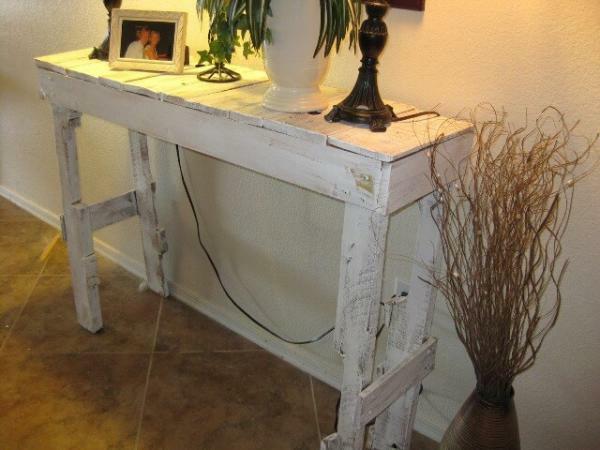 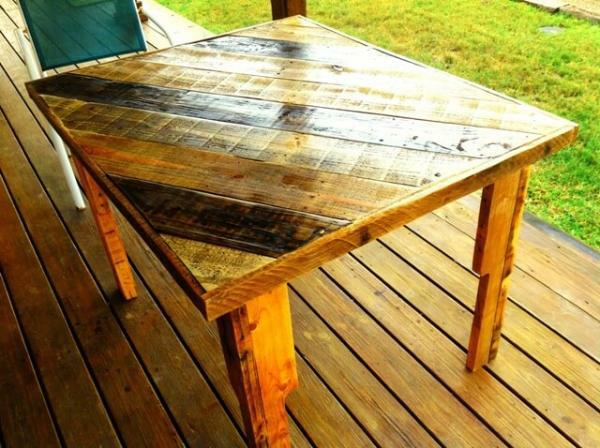 Make it painted or display it in a changed wood tone using stain for more visually stimulation and attractiveness!